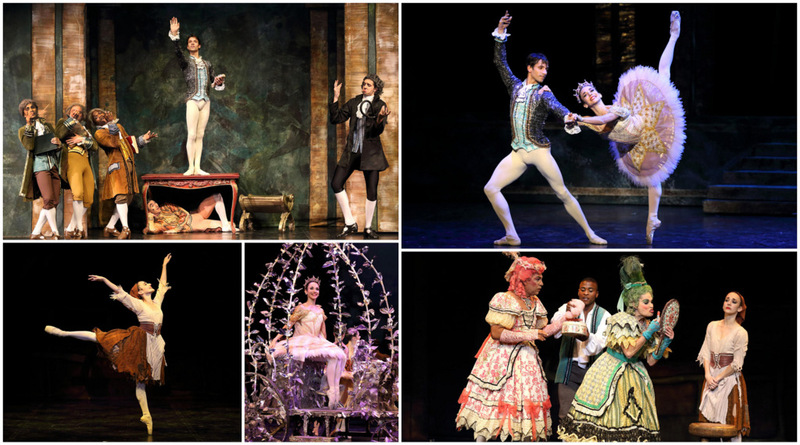 Spring has finally sprung and so has a new production of Veronica Paeper’s Cinderella which is brought to you by the super talented guys & girls of the Cape Town City Ballet. Following the phenomenal success of Mozart & Salieri (which I really loved btw), this production of Cinderella also features new digital elements by design visionary, Peter Cazalet – so I just knew it was going to be something to look forward to. As an interesting background titbit: Veronica Paeper, who has also directed this production, first choreographed Cinderella for CAPAB Ballet back in 1975 and, like Peter Cazalet, has re-worked certain aspects of this feel-good classic to create a fresh, new feel. The production also features former CAPAB and CTCB ballerina, Janet Lindup, as the deliciously over-the-top ugly sister, Daffodil, performing opposite Johnny Bovang and Mervyn Williams who share the role of Violet. Now typically, both the roles of the ugly sisters are performed by men, but I have to say Janet does an amazing job as Daffodil and will have you belly-laughing throughout. International guest artist Maxime Quiroga also returns from France to dance the role of Prince Charming opposite CTCB’s senior principal ballerina Laura Bosenberg. If you saw Mozart & Salieri, you’ll recognise him as Mozart. He will alternate with Daniel Szybkowski and Conrad Nusser while the role of Cinderella will be shared between Laura Bosenberg, Mariette Opperman and Kirstel Paterson. The Fairy Godmother (the other very important part of this story of course) is danced by Caitlan Smith, Leane Theunissen, Claire Spector and Hannah Ward. Cinderella is presented in three acts and set to Prokofiev’s stirring score, played by the Cape Town Philharmonic Orchestra at select performances (conducted by Brandon Phillips). I went to go see their opening night on Friday evening and all I can say is: Loved the new digital elements. Loved the costumes. Loved the super-sprarkly horse carriage. Loved the ugly sisters. Loved Laura & Maxime’s performances as Cinderella & Prince Charming, and all round I felt it was a fantastic performance by every single dancer on stage which left me feelin’ all “why the hell didn’t I do ballet lessons when I was little???”. ** Then there’s also a special performance in aid of CTCB’s Outreach and Development programme taking place on Friday 19 October at 16h00 with tickets only R100 each. You can also book this via Computicket as well.